Before we get into anything else, you must first understand what an HDI PCB is. 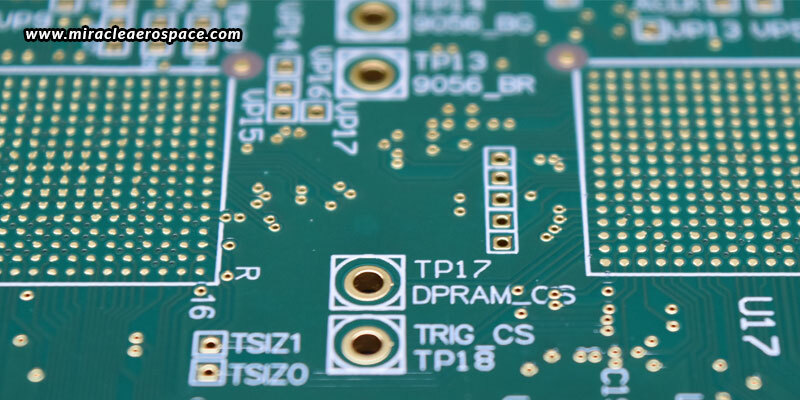 You may already know what a PCB is, so now let us get to what is special about the HDI PCB. This is the PCB wherein HDI technology in instilled into the PCB to reduce costs without compromising on the quality of the product. These are regular circuit boards that feature high density of wires throughout the surface area; thus doubling the circuit, while reducing the area. With this technology, both the size and weight of the equipment is drastically reduced, while increasing its electrical performance by allowing faster and more efficient transmission of data by shortening the paths. What is the most important component of the HDI PCB? Micro vias is the answer here. These are fine holes drilled by a laser into the HDI PCB that link two different layers electrically in a multi-layer circuit board. They are very small in size and are thus the reason for the miniaturization and space-saving qualities of HDI PCBs. How to design the most effective HDI PCB? Designing a PCB is generally a very intricate task. To make it simpler, you must adopt a DFM strategy. Then, you must consider the type of vias you want to choose, which reduces the costs, but enhances the electrical performance of the circuit boards. Next, you need to decide upon the smallest and least number of components you wish to install on your circuit board. If you think that because of the compact design of the HDI PCB, you will “have to” overcrowd components, this isn’t true. Overcrowding may impact signal quality and delay transmission; so it’s always better not to adopt this format. The way you place these components will also determine the size of holes, trace widths, and backups. Use the least number of components, provide sufficient space between them, and place them in a way that distributes the vias symmetrically across the surface so that the stress can be reduced, which will prevent warping. What are the benefits of using an HDI PCB? As we already told you above, an HDI PCB reduces the surface area, while increasing the transmission speed and frequency. Along with this miniaturization of products, there are many other benefits that an HDI PCB can provide. These include better conductivity, lesser thermal stress, decreased power usage, cost-effectiveness, and quick manufacturing. What are the different types of HDI PCBs available? 0-N-0 – Laser Micro Via – The core is first laminated, after which it is mechanically drilled with a plated drill to form vias, forming the final through the hole. 1-N-1 – Laser Micro Via and Buried Via – Both sides of the core are laminated, and here, an internal layer is formed after the mechanical drill is plated. The core layer is then laminated by two additional layers so that the drill acts as a buried via. 2-N-2 with Micro Via – The core is laminated with two layers on either side, making it a total of 6 layers in this type of HDI PCB. What applications are HDI PCBs used in? Military and aerospace – Military communication devices make one of the biggest use of HDI PCBs. The aerospace industry also heavily benefits from these small and light circuit boards. Medical equipment – HDI PCBs are used widely in medical equipment that diagnose and monitor conditions and patients, as these circuit boards ensure better reliability, which is the most crucial property in the field of medicine. Computers and smartphones – GPU and CPU chips used in smartphones and computers use HDI PCBs to enhance the device’s performance. All things considered, an HDI PCB results in better yield and enhanced performance at a lower cost. However, you need the right manufacturer in place who can provide you with the finest products and the most reliable services. Miracle Aerospace is one such PCB assembly manufacturer from India with wide manufacturing capabilities that never compromise on quality.